Dr. Silveria Marmolejos is committed to providing excellence in dentistry, and stands out as a leading dentist in Trumbull. The doctor uses the latest in dentistry techniques to provide you with a beautiful and healthy smile. Additionally, Dr. Silveria Marmolejos believes strongly in education to prevent oral health problems before they occur, and makes sure to keep patients fully informed about their dental health. 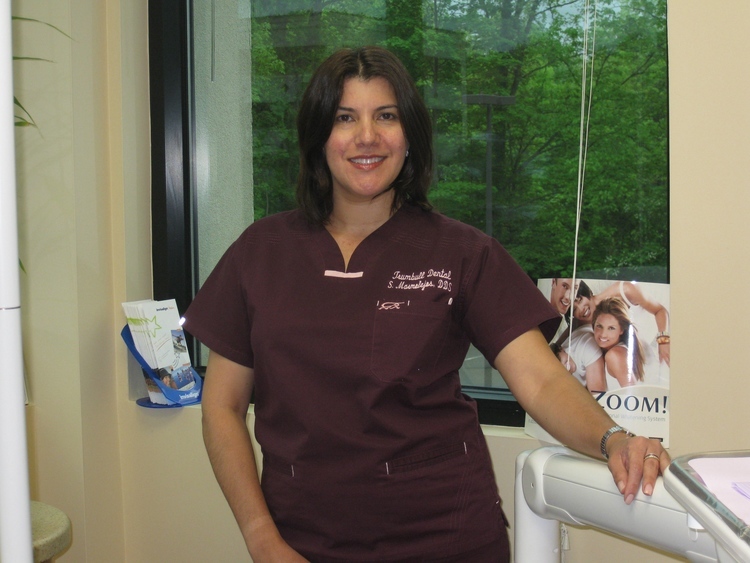 Read more about Trumbull dentist Dr. Silveria Marmolejos below. Dr. Silveria Marmolejos is a 1994 graduate of New York University with a Doctor of Dental Surgery Degree. Dr. Marmolejos received Awards from the Mid-America Orthodontic Society for the completion of the Post-Graduate Advanced Orthodontic Success Program in 1999 and for a Mini-Residency in Orthodontics in 2001. She is also an Invisalign (invisible braces) certified provider. Dr. Marmolejos is affiliated as a member of the American Dental Association (ADA), Connecticut State Dental Association (CSDA), Bridgeport Dental Society, The Academy of General Dentistry (AGD), International Team For Implantology (ITI) and the International Association for Orthodontics (IAO). She has more than 24 years of experience as a general dentist performing Advanced Technologies in the comprehensive treatment of Orthodontia and Orthopedia. Dr. Marmolejos participates in Continuing Education Programs in order to maintain an updated knowledge base on all the latest treatment and techniques. She is married with three lovely children.